Style Icons - Doris Mayday - Sugar, Darling? I love being platinum blonde. At one point last year I had a reaction to my bleach and thought it might all be over and I'd have to go a different colour. I was ridiculously upset at the thought of it, embarassingly so in fact. I have had my hair pretty much every colour under the sun including pink, blue, green, purple, red... a vertiable rainbow; but I always come back to blonde. 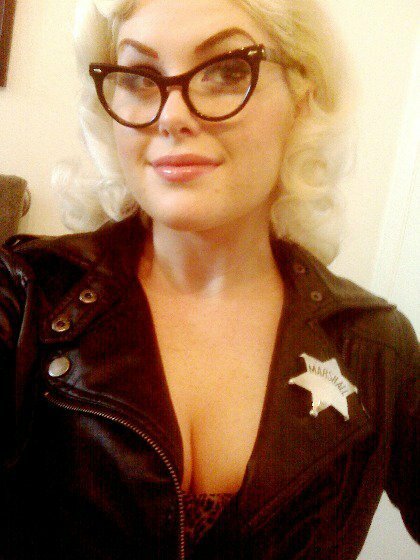 One of the most beautiful blonde ladies is Miss Doris Mayday. You may well have seen her gracing the virtual pages of www.pinupgirlclothing.com or in your favourite vintage lifestyle mag. 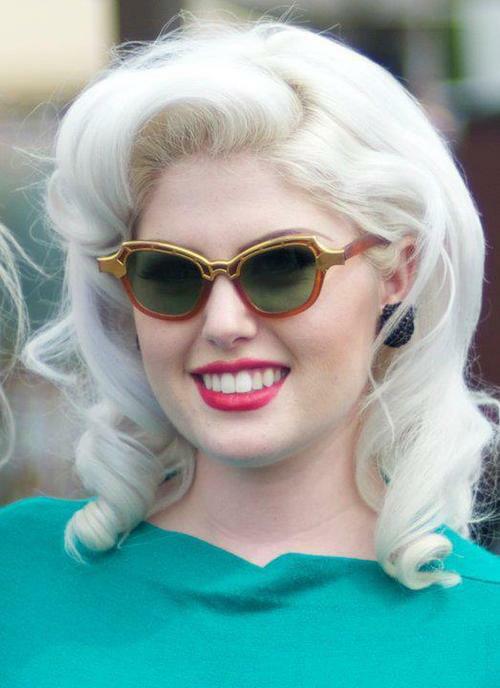 She's a rock star in the pin up world. As you can see she's a real stunner. Her dedication to vintage glamour is unsurpassed. She is such an inspiration to me to always look my best and wear what makes me happy. Can you imagine my surprise when she gave up the blonde?! I admit it, I was sceptical... but of course she still looks fabulous!!! Serious hair envy right girls? 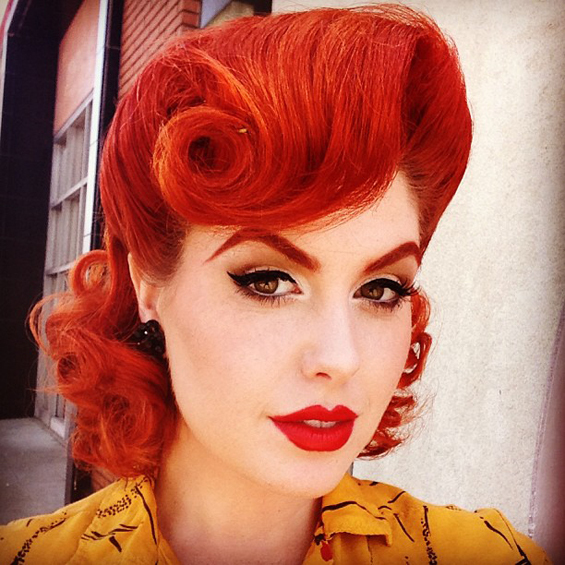 At the moment the fabulous His Vintage Touch team seem to be doing her hair for all her shoots - knock out work. Sorry for the masses of photos, but as all my friends know I'll find room for anything beautiful!! !